The Black Path in Galashiels. 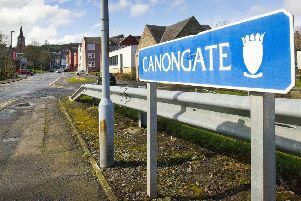 A robbery reported to have been carried out on the Black Path in Galashiels never actually happened, police have now concluded. Officers yesterday issued a plea for witnesses to the alleged theft of money and a mobile phone from an unnamed 32-year-old woman last week to come forward, but that appeal has now been withdrawn. “Police in the Borders can confirm that a reported robbery in the Black Path in Galashiels on Friday, April 28, has been investigated, and it has been established that no criminality has taken place,” said a spokesperson for Police Scotland.